Brooklyn Bedding #BESTPILLOWEVER Review was recently completed by the MattressJunkie.com team. Brooklyn Bedding is located in Phoenix, AZ and was founded by two brothers in 1995. Brooklyn Bedding also has high quality mattresses, sheets, and an array of sleep related products that they ship direct to consumers at affordable prices. 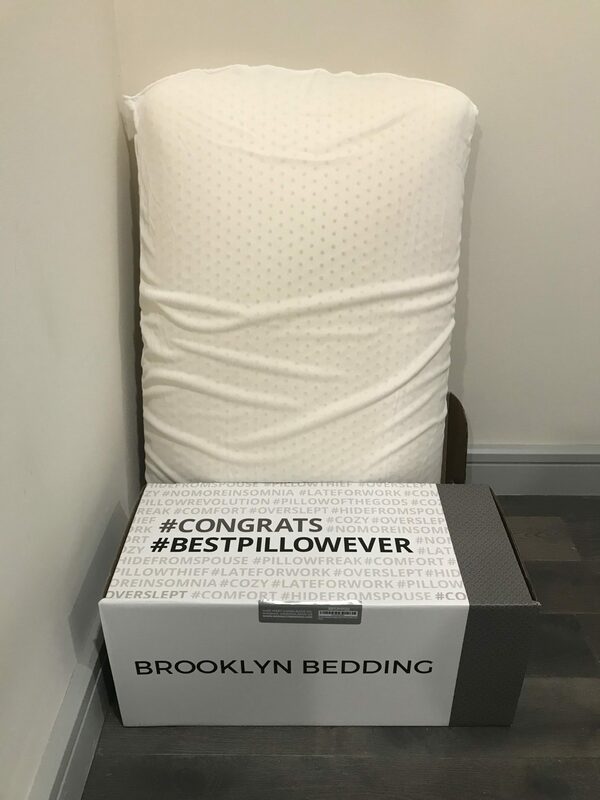 We have been impressed with Brooklyn Bedding’s mattress and sheets so we were excited to see what the #BESTPILLOWEVER was all about. Read more to see what we thought about the Brooklyn Bedding #BESTPILLOWEVER. What sleep position is best for the Brooklyn Bedding #BESTPILLOWEVER? Brooklyn Bedding #BESTPILLOWEVER contours to your head so any sleep style would be comfortable using it. Tell me more about Brooklyn Bedding #BESTPILLOWEVER cover. Brooklyn Bedding #BESTPILLOWEVER has a gray, zippered cover made from a soft and luxurious bamboo material. The cover is moisture wicking and washable. What’s under the Brooklyn Bedding #BESTPILLOWEVER cover? Brooklyn Bedding #BESTPILLOWEVER is made of latex. 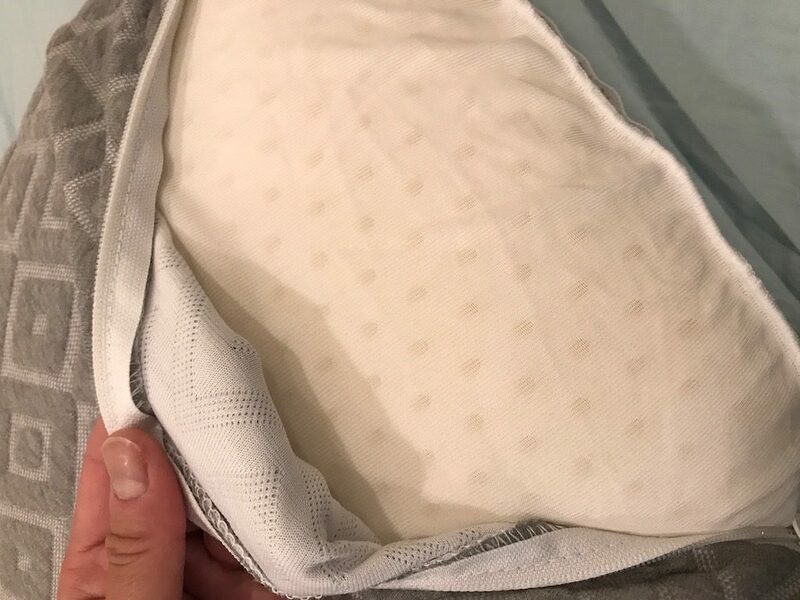 The pillow is bouncy, light, and does not hold in heat. I slept cool and comfortable night after night. The latex material breathes well and is responsive to your head movements. Brooklyn Bedding drilled holes in the latex to ensure heat retention wouldn’t be an issue. How much does the Brooklyn Bedding #BESTPILLOWEVER cost? 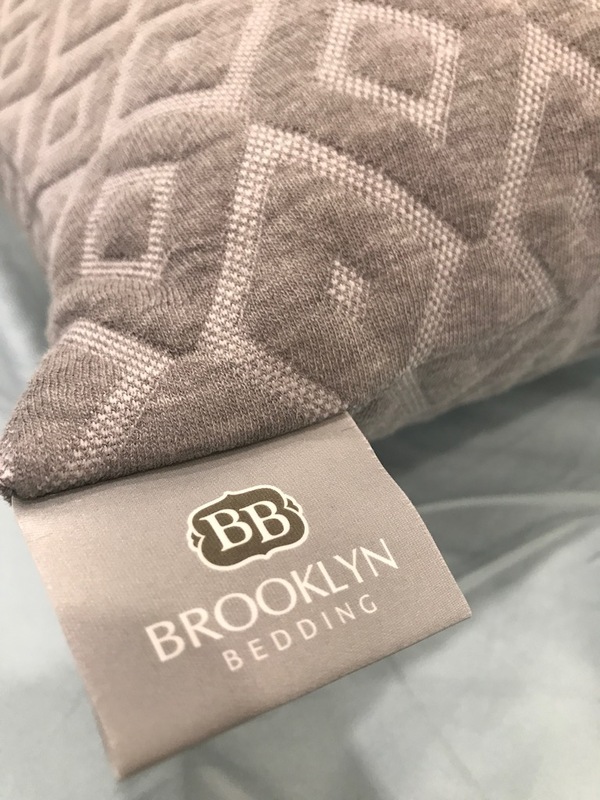 Brooklyn Bedding #BESTPILLOWEVER comes in queen and king size as well as soft and firm. #BESTPILLOWEVER will run you $40 and is worth every penny. Does the Brooklyn Bedding #BESTPILLOWEVER have a warranty? Brooklyn Bedding offers a 120 night sleep trial on the Brooklyn Bedding #BESTPILLOWEVER so you can get a full refund if you decide it’s not for you. Brooklyn Bedding also offers a 3 year warranty on manufacturer’s defects. Would we recommend the Brooklyn Bedding #BESTPILLOWEVER? 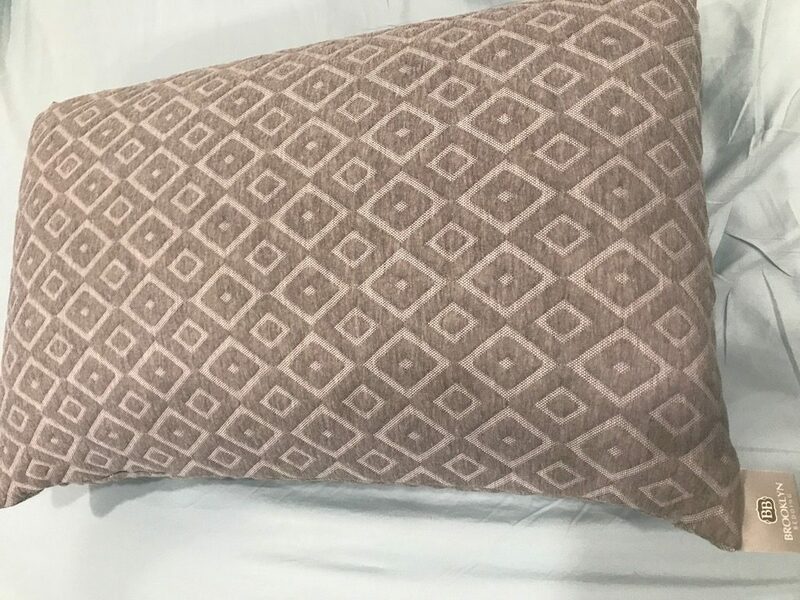 Brooklyn Bedding #BESTPILLOWEVER is a steal at $40. The latex material is unlike any pillow you have tried before. Once I started using a latex pillow, I find it hard to sleep without it. The responsiveness of the pillow allows you to sleep without constantly adjusting the pillow under your head. If you are looking for an upgrade on your pillows, Brooklyn Bedding #BESTPILLOWEVER is an excellent option and won’t break the bank. Learn more about the Brooklyn Bedding #BESTPILLOWEVER here…..